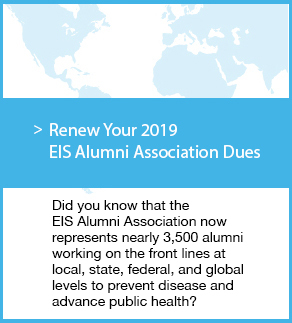 The Epidemic Intelligence Service hosts its 68th annual scientific conference for the national and international public health community. Registration is free and early registration is strongly encouraged. This year’s Langmuir Lecturer is Mona Hanna-Attisha, MD, MPH. 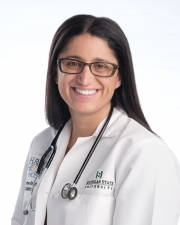 Dr. Hanna-Attisha is founder and director of the Michigan State University and Hurley Children’s Hospital Pediatric Public Health Initiative, an innovative and model public health program in Flint, Michigan. As a pediatrician, scientist, and activist, she has testified twice before the United States Congress, was awarded the Freedom of Expression Courage Award by PEN America, and named one of Time Magazine’s 100 Most Influential People in the World for her role in uncovering the Flint Water Crisis and leading recovery efforts. She has appeared on CNN, MSNBC, BBC and countless other media outlets championing the cause of children in Flint and beyond. She is also founding donor of the Flint Child Health and Development Fund (flintkids.org). Learn More About Dr. Hanna-Attisha. Room blocks have been reserved at a rate of $152.00 per night at the hotel below. This rate is available until April 4, 2019.